One of the things I love most about my job is working with kids of all ages. I get so excited when I get to talk to a preschooler and I love when I get the chance to work with teens. HOT-pretty much anything with a movie coming out-Percy Jackson, The Book Thief, Ender's Game, Divergent, and The Mortal Instruments were all mentioned in the context of their upcoming movies (I was pleased they knew they were books first!). They are also enjoying dystopian and science fiction the most. NOT-Twilight-they are pretty over the paranormal craze, although they did mention that they are still interested in some paranormal and supernatural, but only if it's interesting and well written. HOT: Doctor Who (I have a core group that is obsessed with this show! ), Adventure Time (again they were all excited about this one), Gravity Falls ("the only show worth watching on Disney Channel-it's weird but fun"), Supernatural, Sherlock, How I Met Your Mother, The Big Bang Theory, Once Upon a Time, My Little Pony (again, a core group that is in love with this show!). They also liked the animes Hetalia, Black Butler and Fruits Basket. HOT: Imagine Dragons, One Republic, Panic! at the Disco, Pink, Train (although only some songs), Robin Thicke, Michael Buble, Lincoln Park, and then they cracked me up with these-Led Zepplin, Queen, and The Beatles. They also mentioned that they prefer older music, not newer music because "some of it is good but other stuff is like what were you thinking?") One Direction (although they were a bit torn and said that the What Makes You Beautiful song is a paradox and promotes low self-esteem. "If the fact that she doesn't know she's beautiful makes her beautiful, then he tells her she's beautiful, now she knows, so she's out of his league and not beautiful." NOT: Fun. ("They are so 2012! "), Justin Bieber, Lady Gaga, The Script ("They're just whiny-I get it, you have a broken heart!") Blood on the Dancefloor ("People at school like them, but I don't. The singer is too high pitched like it's something only dogs can hear and has a dumb name."). They then expressed that they were confused by Taylor Swift-was she country or pop? They wanted her to stick with just one genre. So there you have it! A pop culture update from teens themselves! Do they line up with the trends and interests of your teens? They mostly line up with the trends and interest of ME ... clearly I need to grow-up! Once or twice a year, I spend a Teen Advisory Group discussing pop culture. I tell the teens that I want to know what is popular with them, their friends, and the teens at their schools. 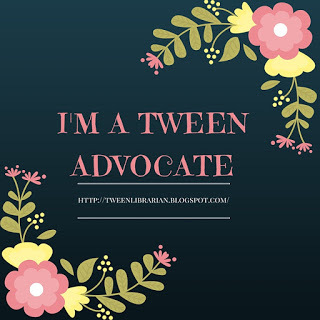 That way I know what to look for and topics to discuss with teens. I tell them that I was not very interested in pop stuff when I was a teen, so I need to have their help to figure out what teens like these days. It's one of my favorite meetings-I love hearing their feedback! This is super cool and useful. Sometimes adults like to complain about all the silly trends today's teens are into, but it's good to remember that sometimes teens get tired of teen trends too. I'm glad to hear they appreciate the Beatles, that's a good sign. Exactly-teens tire of trends too! And they were all about the Beatles! from the mouths of babes, or in this case teens. I have to defer to my daughter on many a thing. They always teach me so much! Great topic! The best thing about trends is they keep changing. Thanks! Trends are always changing so it's interesting to see what the teens think is popular and what they like and what they are so bored with. So interesting to hear what's hot with teens. My daughter turned me onto The Big Bang Theory and I like it too. I love Once Upon a Time. Interesting that they're on Tumblr. I like The Big Bang Theory too-and they loved it, although I need to catch up with Doctor Who to get to their level of fandom! They were all about Tumblr-one teen even said that's how they get all their news! Wow-I do not know what teens find cool. Luckily I was never cool as a teenager anyway. I still like fun. and Taylor Swift-she's mostly pop but if she wants to play in any genre, I'm cool with that. My YA books are across many genres, why not my favorite artist?